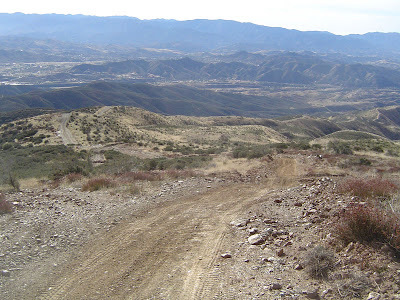 Friday morning I drove up to explore the Rowher Flats OHV Area, and escape the traffic mess in my neighborhood due to the Rose Parade passing nearby. 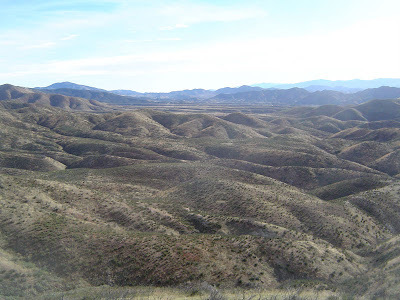 Rowher Flats was closed for months, and when I checked the USFS website I was surprised to find it now open. It was a nice morning and I had the place almost to myself. I encountered only 2 bikes while I was driving trails. 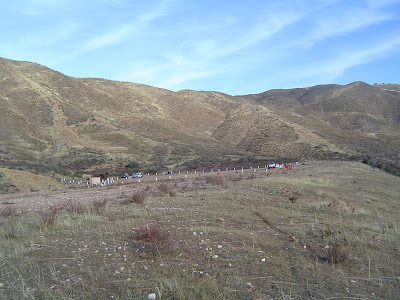 This place is great for bikes and ATVs and has very few trails for jeeps. 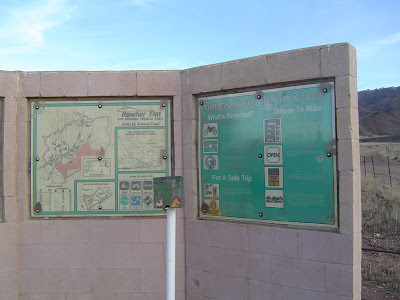 Here's a USFS map of the area. And here's the Dirtopia page for Rowher Flats. They've got 3 staging areas with pit toilets. I saw two tent campers at one of them. 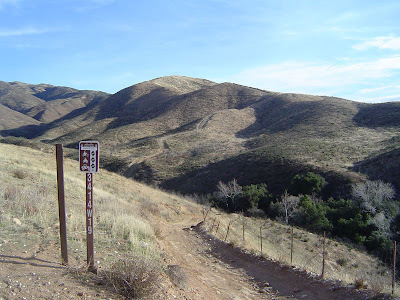 I took a leisurely drive up Fall Canyon to Sierra Pelona Trail along the ridge line. From there I had a great view of the entire area. 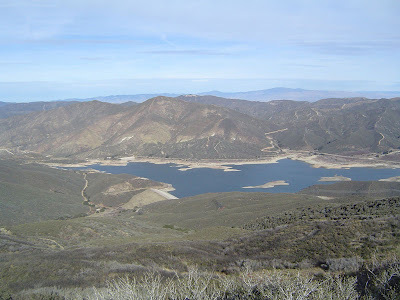 Here's a shot of Bouquet Reservoir, which serves as a water source for Los Angeles. The water level was really low. 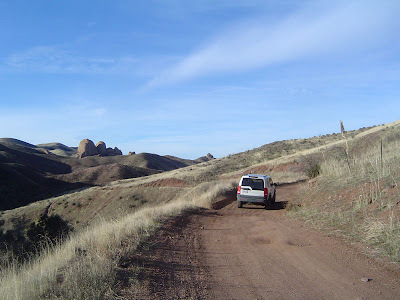 The most challenging trail for 4x4s is the Rowher Trail. I didn't drive it. Wells' trail book rates it as difficult, due to some very steep sections. I'd rather tackle it when friends can watch (or egg me on). Here's a photo I took of the bottom section, from the bottom end of the trail. Here's a photo I took of the top section. Well... I guess you missed it! You went a day early! Love to have you along sometime!